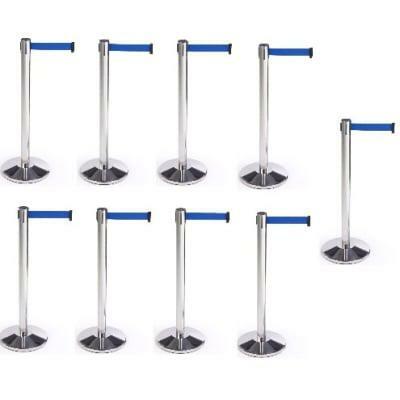 Retractable Belt Stanchion Crowd Queue Control Barrier Post - 9 Poles + 9 Ropes By Hiphen Solutions Services Ltd.
Each Cement And Rubber Base Has Stronger Ability Against The Wind Than Ordinary Bases, No Rust, Strength Evenly, Protect The Floor Not To Be Friction. No Rust, Strength Evenly, Protect The Floor Not To Be Friction. 1.3MP AHD 360 Degree Fisheye CCTV Panoramic Camera By Hiphen Solutions Services Ltd.
7 Inch Video Doorbell Intercom Kit By Hiphen Solutions Services Ltd.
Hidden Camera Eyeglasses - White By Hiphen Solutions Services Ltd.
Streetwise Security Electronic Watch Dog By Hiphen Solutions Services Ltd. Car Charger with GSM Vehicle GPS Tracker By Hiphen Solutions Services Ltd.